We're coming up on the centennial of one of the great milestones in human history. Sadly, it's an event that's almost forgotten today. At the end of WWI, the military nations of the world had boatloads of new technology that was no longer needed for war, but maybe had peacetime application. Topping the list was aircraft technology, which had developed very rapidly during the war and was now a magnificent solution looking for a problem to solve. One of the first goals was to cross the Atlantic by air. At first, it was just a question of derring-do. 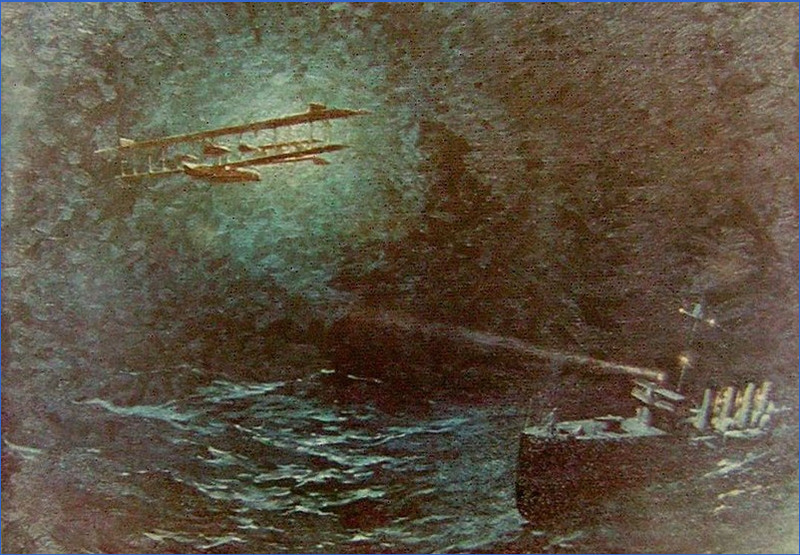 The UK paper Daily Mail offered a 10,000GBP prize for first flight across the Atlantic. That sum of money and the available pile of war surplus aviation components attracted a lot of dreamers. A long list of adventurers set out to be first across the Atlantic. Among the US military, there was a feeling that the US should be not only be first across, but should be the dominant power in transoceanic aviation. Prizes and one-off, ill-prepared flights were the wrong way to go. Transatlantic flight was expected to have great commercial value for mail and passengers, and there was strategic value in dominating that business. The strategic part was that commercial transatlantic flight would produce experience and technology that would be needed in the event of a war. During the recent war, the super weapon had been the U-Boat. Having control of the ocean skies was seen as the way to nullify the U-Boat threat in future wars. There were aviation proponents in the Army and the Navy who presciently predicted the role of air power. And so the US Navy set out to be the dominant force in transatlantic aviation. While intrepid adventurers flung themselves into the air, only to disappear in the nasty green Atlantic, the Navy set out to develop safe, dependable technology to enable repeatable transoceanic flight. Eventually this would win the honor of first across for the US Navy, but at the time their very expensive new technology and expansive manpower only earned the sneers of derision when compared to the knightly adventurers who followed in their wake. That's why you've probably never heard of it. The first thing you need for a transoceanic flight is an airplane. And the Navy wanted a great big airplane. 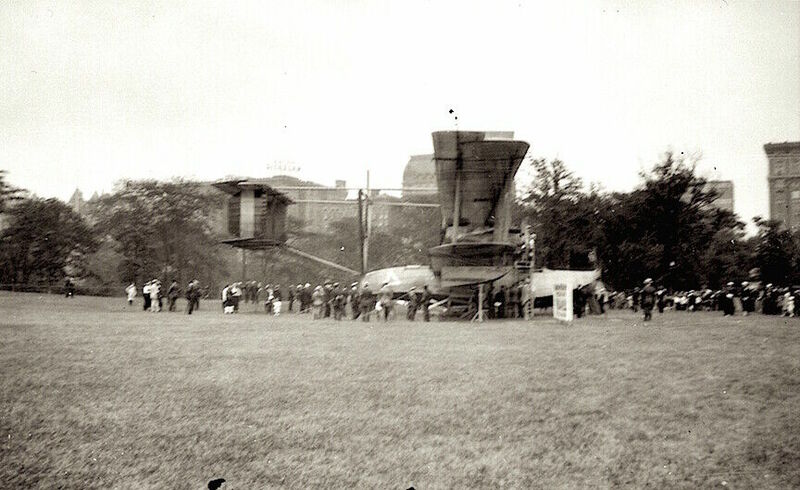 The Navy partnered with Glenn Curtiss to develop not one, but a fleet of flying boats. The knickname of the project, Nancy, derives from the model designation of the aircraft...Navy-Curtiss, or NC. These flying boats were biplanes, built the way you would expect a 1919 biplane to be built...out of spruce and doped linen. The thinking at the time was that over-water aircraft should be flying boats in case they had to touch down to fix a balky engine. And so the crew pod and floats were made the way you would make a boat...mahogany frames with an aluminum-over-plywood skin. Doesn't sound like much, but these were BIG planes, among the largest biplanes ever built. The wingspan was 120 feet, which is larger than a 737! The planes would be powered by four advanced Liberty engines, each producing 400HP. Four planes in total would be built, and since this was an experiment, each plane had a different engine configuration: one plane would have engines wing mounted abreast as you would expect. Another would have two pairs of wing mounted engines, one of each pair operating as pull and one as push. Another would be a trimotor. The configuration that worked best was four engines, three pulling and one behind the center motor pushing. All four boats were modified to this standard. Not only could this plane cross oceans, it could function as an immense fighter-bomber for anti-submarine warfare. Many new techniques were needed to build a plane this large. Curtiss ran out of room at Hammondsport, and portions of the plane had to be built at various facilities around the country. 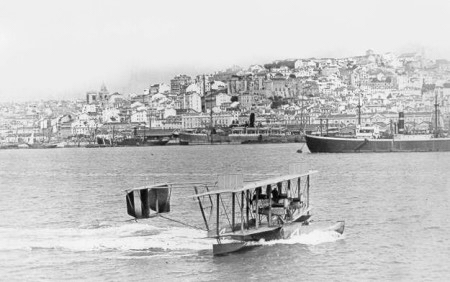 Curtiss relocated airframe assembly to Garden City, and the Navy insisted that portions of the assembly be subcontracted in order to reduce development time. Interchangeable parts and subassembly integration had been part of military procurement since Eli Whitney. But this was the first time a military airplane was built from subcomponents built by different manufacturers. For example, the giant spruce wings were built by Locke & Co, a custom carriage company better known for building bodies for Packard, Lincoln and Franklin. 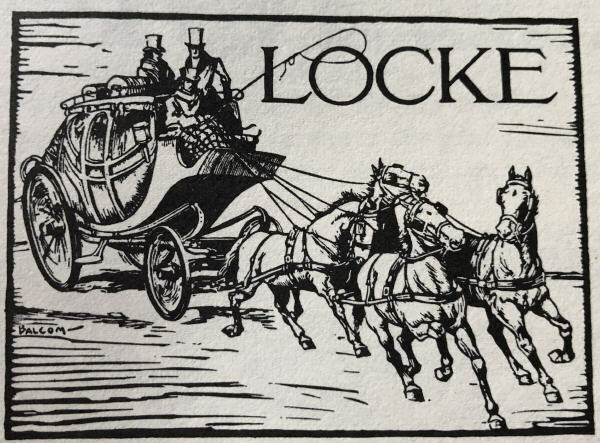 Locke was located on 58th Street in New York. Imagine a 120 foot wing being loaded on a purpose built cart and dragged through the streets of Manhattan and over the Brooklyn Bridge. To accomplish this feat, the wings were transported in the middle of the night, with police closing streets and roads the whole way to the Rockaway Naval Air Station. The Rockaway aerostation is one of New York's lost airports. It's now Jacob Riis Park, across the channel from Floyd Bennett Field, which is yet another of NY's lost airports. Simply having a plane isn't enough to cross the Atlantic, especially if you're aiming for repeatable success. The first problem was navigation. Sextants and such as used on a ship pose certain problems in the air. For one thing, you are moving very fast. There's a lot of vibration and air movement. And it's not obvious where the horizon is. So the NC's carried a radically new set of navigation instruments. This included a sextant with an artificial horizon, altimeters, drift gauges, compasses, and the most up to date radio direction finders. For the most part this technology gradually became obsolete, but the experience set the groundwork for all modern aerial navigation. To back up the navigation system, the Navy obligingly strung out it's soon to be mothballed battle fleet at 50 mile intervals along the route. If the navigation tools failed, all the pilots would have to do is find the next ship. The ships could send up flares and star shells if the planes drifted off course. 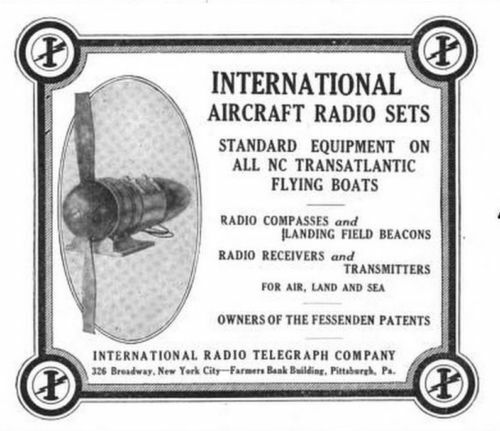 Finally, true radio telegraph technology had emerged by this time, so each plane was equipped with not one, but two radios. The main radio used a 200 foot antenna that was extended like a fish line when the plane was in flight. Unfortunately, it was powered by a windmill mounted on the wing. This would prove to be a problem during the flight, when two of the planes were forced to make emergency landings. On the surface, the backup radios could only broadcast using small batteries and short lengths of antenna. this would reduce range and make the radios useless when they were most needed. And the crew. These were big planes, with big crews. Each crew had a commander, two pilots, a radioman, a flight engineer and a navigator. Bear in mind that as big as these planes were, they had open cockpits. The planes were large enough to have some sheltered space inside the crew pod, but the commander, navigator and pilots sat out in the weather. And speaking of weather, the weather posed no small problem. Weather over the Atlantic is legendary for being awful. But in 1919, there was total ignorance about weather conditions at altitude. To develop the route and schedule, the Navy fielded a small fleet of weather ships, equipped with blimps and weather balloons. A whole host of launch and recover technologies was developed to produce high altitude weather reports. Of the four planes prepared for the mission, NC-2 had to be cannibalized for parts during trials. 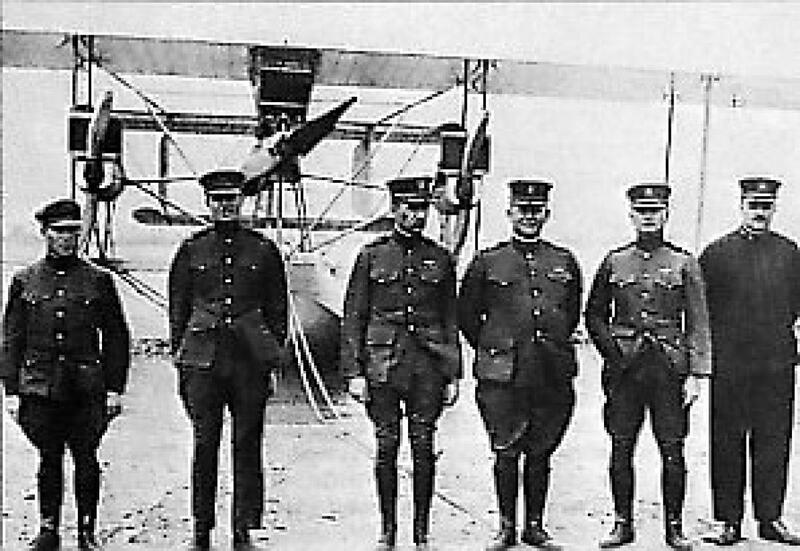 The three remaining planes set off for Newfoundland May 8, 1919. In Newfoundland, various repairs were made while waiting for favorable weather. They finally lifted off for the Azores on May 16. Travelling at 80mph, they arrived at their destination the next day. But NC-1 missed the last few signal ships and had ditched it's radio in order to lift off. It landed some 20 miles north of the Azores. Searchers located the plane, but all they could do was rescue the crew before it sank. NC-3 landed just a few miles south of it's objective, and had to sail the currents like a boat for about 120 miles before hitting land. Unfortunately, it was pounded by high seas as couldn't complete the mission. NC-4 was the fastest of the planes, and luckily arrived in better weather. It was able to reach port. Refreshed and refueled, it continued on to Lisbon on May 27, becoming the first airplane in history to complete a transatlantic crossing. It finally arrived in Plymouth on May 31, having taken 23 days to fly from New York to England. From there, the plane was disassembled and returned to the US, ironically on the USS Zeppelin, a prize ship taken during the war. Meanwhile, what about all the other adventurers who were trying to beat the NC's? 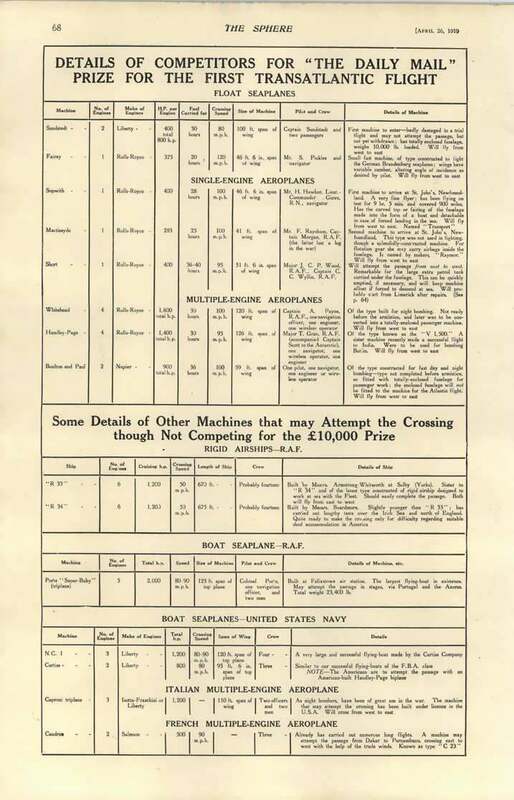 Since the US Navy wasn't eligible, the Daily Mail prize was awarded to Alcock and Brown, who made a direct dash from Newfoundland to Ireland in a Vickers on June 14, 1919. A consolation prize of 5,000GBP was also awarded to Hawker and Grieve, who crashed their Sopwith into the Atlantic and were given up for dead before they were found days later bobbing around in a life raft. One more attempt is worth noting. As the Nancy's awaited repairs at Newfoundland, the Navy revealed that it had an insurance policy. Navy Blimp C-5 arrived on May 10, set to follow the destroyer line to Europe. The blimp had been modified so that it could burn some of it's hydrogen as fuel to extend its range. Unfortunately, the weather that held the NC's in Newfoundland tore C5 from its moorings and the fill had to be released. The remains of the ship were carried away. Crossing with help from the Navy. Not considered "sporting". At the time, the entire effort was derided as being expensive, over staffed, and over supplied. Compared to the madcap stunt of flinging yourself across the ocean in a tiny plane, flying a squadron across the ocean accompanied by something like 80 naval vessels seems easy, if not totally frivolous. And so it was newsworthy for a moment, then quickly forgotten. 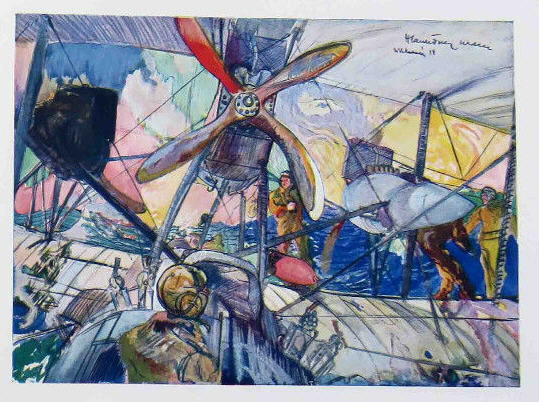 But it bears emphasizing that this was 1919, the wings and control structures were made of wood and cloth, not one part of these machines was dependable in any modern sense, navigation was experimental at best, and the challenges of wind and weather across the Atlantic completely unknown. It took a lot of guts to get into one of these crates and fly across the Rockaway channel, much less across the ocean. But the Navy wasn't setting out to impress people or win prizes, it was trying to develop dependable technology and repeatable success. And it was an outstanding success. 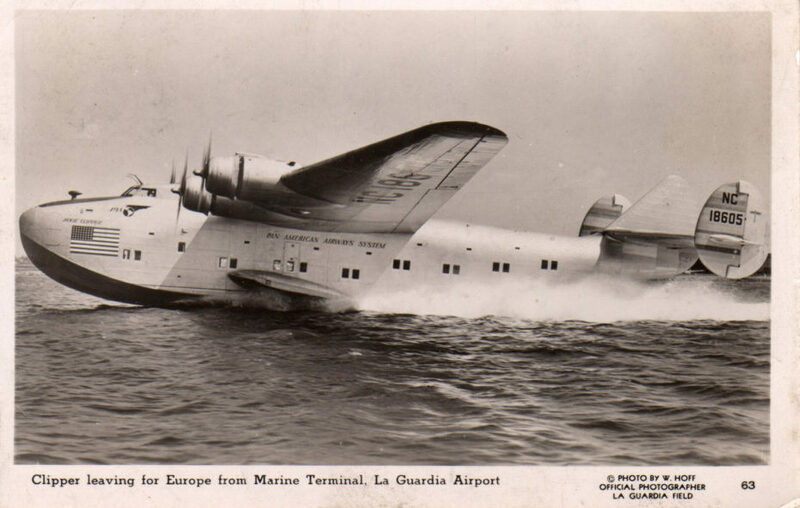 The same techniques, including picket ships and weather balloons, and the very same route was used when the first Pan Am flying boat went into regular service between NY and the Azores. No surprise, since Juan Trippe was a contemporary Naval aviator and crossed paths with the NC project as the flight was being prepared. By Coincidence, the Registration Number is NC18605! The NC boats continued on in military service. A total of ten were built and were used for a decade as shore patrol and rescue craft. NC-4, the last survivor, was gifted to the Smithsonian, which has never had sufficient space to put it on display. It's housed at the Naval Air Museum in Pensacola. The NC fliers were fetted in Portugal. When they arrived in the UK on May 31, they were swept into the welcome festival for Hawker and Grieves who had just returned from their rescue at sea. They didn't even get their own parade. And by the time they arrived back in the US, Alcock and Brown's nonstop flight had eclipsed them in the news. They were received at NY City Hall and Glenn Curtiss hosted a fine dinner for them at the Commodore. Then they went back to their Navy or Coast Guard careers. Many years later, Lindbergh crossed the ocean and was awarded a Congressional medal for his solo flight. This prompted a bill in Congress to award the NC fliers medals for their earlier achievement. 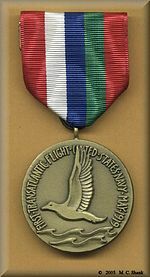 The special awards were presented in 1929, ten years after the flight of the Nancys. Lindbergh himself had this to say: "I had a better chance of reaching Europe in the Spirit of St. Louis than the NC boats had of reaching the Azores. I had a more reliable type of engine, improved instruments and a continent instead of an island for a target." So that's the story. Almost forgotten, but not without lessons for the ages.